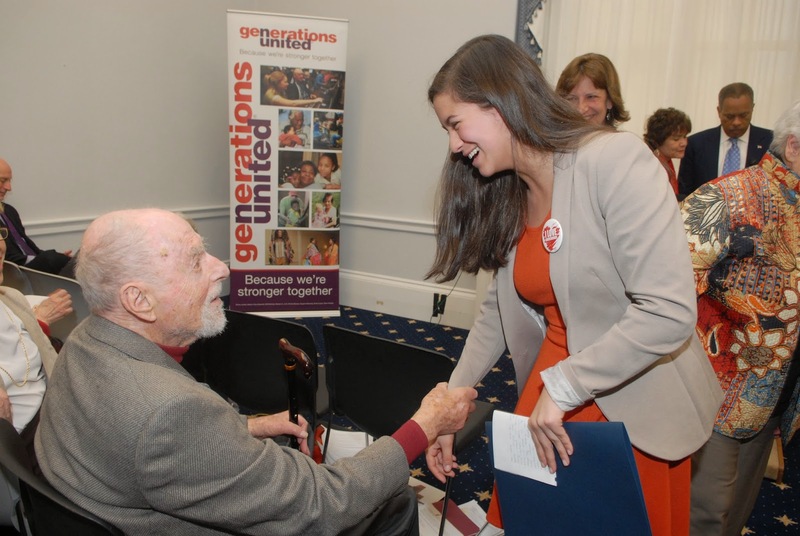 EDITOR’S NOTE: This guest post appears courtesy of 8-year-old Ashley Gurney, who joined us Tuesday for the Best Intergenerational Communities recognition event at Cannon House Building. The photo is courtesy of the Gurney Family. I woke up at 6:30 a.m. We got in the car it was a long ride to the city. We are at National Association of Counties (NACO). There are 22 people and Bob Simon was there. And there are actually 25 people because a few came in late. I met a girl named Hayley and she was 17 years old. Hayley and my brother were in my group. We learned a lot about each other. We are going to get a cab and go to Capitol Hill. We arrived at Capitol Hill. We went through security and the woman in front of us had to go back and it was her bracelet. There are 3 people taking pictures including me. Eight people went to speak. I learned a lot and it makes me feel like I like our country even more because they got an award. Hayley and Jessica spoke and they were kind of funny. Bob Simon was about to go up to speak. On our way to lunch, we went under the building I thought it was the sewers but it was a hallway and I kind of screamed when I said it. We saw the Old Senate Chamber and Senator Charles Sumner almost died. He did not want slavery and other Senators got their canes out and beat him up really badly in 1856 because they wanted slavery. We saw the members of the House of Representatives vote on a bill. And more people voted “nay” which means no and less people voted “yea” which means yes. So the bill did not pass. We did not know if it was snowing because we did not look out the window. And it was an awesome day! Today, we presented four communities with the 2014 MetLife Foundation/Generations United Best Intergenerational Communities Award. We're grateful to our MCs author and journalist Juan Williams and our Board member Jatrice Martel Gaiter for an inspiring and humor-filled event. This annual award heightens awareness of the important role that intergenerational solidarity plays in building strong, vibrant communities. The event also included members of Congress speaking on behalf of their communities. Robert Simon, a developer and founder of Reston, VA, recounted a story that garnered laughs from the packed room. According to him, some kids were playing by a statue the city erected in his honor. Simon's Reston and the other award recipients are redefining community life by throwing out old stereotypes and engaging residents of every age in decision-making, problem-solving and relationship-building. Simon, who was 50 when he founded Reston in 1965, remembered the city developing from humble beginnings to where it is now. The visionary couldn't imagine his community any other way. “If I didn’t have intergenerational relationships, I’d be lonely,” said Simon, who turns 100 next month. Jessica Ayala’s remarks were just as touching. 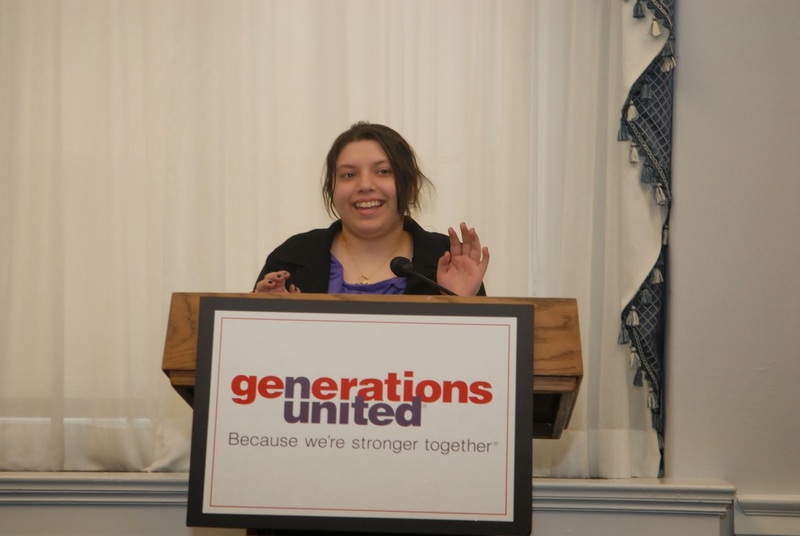 The Maya High School student, of Maricopa County, AZ, talked about overcoming her shyness and learning how to lead. Her most important lesson was introspective. Congratulations, again, to our winners. You can see other highlights here. If you’re interested in more info about intergenerational communities, click here and share our resources with your networks. While some friends and family members are still experiencing a harsh Winter there is promise for a glorious Spring, the season of transitions. The blooming of beautiful flora inspires us to energize and achieve new successes. Those delicate green leafs and ground shoots are symbols for rebirth and renewal. Tallahassee is where we've called home for 35 years. One of our town slogans is "Where Spring Begins." My wife, Charlotte, and I have an organic raised-bed garden for vegetables, herbs and flowers which attract our beloved bees from their nearby hive to perform their pollination services and produce delicious honey. Nature's life cycle amazes me! Springtime also means March Madness for college basketball fans and "Hope Springs Eternal" for all of us baseball fans anticipating that first pitch in early April! I am devoted to my Orioles! The celebrations of Easter and Passover are symbolic of what we hold most dear. Easter gives us the spiritual message of the power to overcome suffering, dedicate ourselves to faith, and celebrate the fabulous rebirth of life’s cycle. Passover focuses on freedom from oppression and the importance of faith and persistence in the face of adversity. All religions strive to provide an emotional connection to life’s realities, and light a path for understanding our complex life voyage. My friend who practices Buddhism reminds me how all of life's events, including death, are transformations into another stage of being. In Buddhism, Karma (from the Sanskrit for "action, work") is the force that drives Samsara — the cycle of natural suffering, rededication and rebirth for each being. Transitions are life’s crossroads. We are rooted in personal experiences and make important choices as we move forward. As a parent, I know how critical it is to carefully balance guidance and freedom, influence and acceptance. Who among us would not wish for more power to make decisions for others, especially for our children, but know we have limited capacity to do so. We can hope for the best, but must be prepared to respond to whatever events come our way.. Focusing on prevention is a most noble calling. Keeping bad things from happening is as important a priority as any. As I travel the advocacy road, I'm learning about the power of even just one person to lead the way. I meet people everywhere who inspire me and instill confidence in those around them....neighbors, parents, grandparents and yes, even children and youth......and of course dedicated professionals who work passionately to make a difference. April is Child Abuse Prevention Month and National Volunteer Month across the nation. It's a time to focus on ways to protect family members from abusive environments and to prevent abuse from ever occurring in our community by giving our time and support to causes we believe in. • Pay attention to recognize the signs of family violence, child and elder abuse and animal neglect....and report your suspicions to the proper authorities. Silence may prove deadly. • Support organizations that educate families, children, neighbors and community members on how to prevent abuse and neglect and promote positive parenting. • Volunteer for an organization that helps vulnerable children and their families. Guardian ad Litem and CASA (Court-Appointed Special Advocates) are especially focused on representing children in the court system. Visit CASA's website to locate a local program nationwide....and here's another resource for my fellow Floridians. • Invite a speaker to your civic organization, workplace or place of worship to spread the word about the threat of family violence and how to keep all of our family members safe. • Mentor a child, visit a lonely elder or give the gift of time to your community Hospice....become a beacon of hope for someone who needs kindness and special attention. • Give personal support to a mother or father in need.....or to a caregiver of an elder or special child experiencing the stress of their round-the-clock duties. • Support advocacy organizations and communicate with elected officials in support of parent education, abuse prevention, health care, victims rights, justice for teenagers and access to quality services across the generations. Please continue to exert the power of your influence. Our success is rooted in what we do for others who need us, and the energy we invest in making a difference. 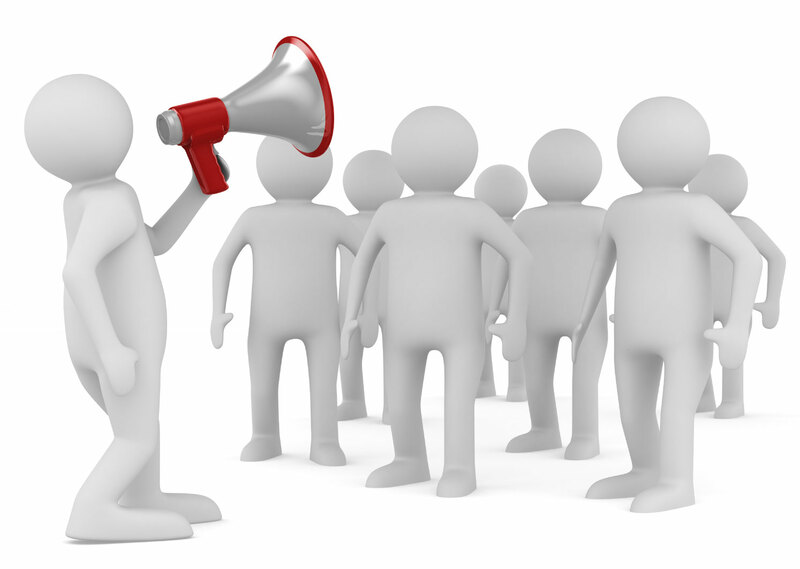 Advocacy is giving voice to causes which we know need attention and effective action. As the Talmud poignantly asks... "If not, who? If not now, when?" Join me as an ardent advocate....entering every door with an optimistic spirit. GRAND, the e-magazine for grandparents and we who love them, is a valuable facet of my commitment to bridging the generations. Click here for free subscription information, which you may share with others. I heartily recommend journaling as a practice to collect thoughts and deepen our understanding of self and others. As written meditation, journaling for 15-minutes per session, three times each week will provide a powerful tool for accomplishing personal and professional goals. Here's a source for journaling tips. I welcome invitations to share my advocacy messages in keynote addresses, strategy seminars, and assisting organizations and with their strategic planning needs on how to become more powerful advocates, connect with community opinion leaders for public policy impact, communicate effectively, and develop financial resources to achieve their program goals. If you wish to receive one of my favorite parables....The Water Pots....please reply with the words "Water Pots" in the subject line....I guarantee it will edify you! There is nothing more tragic than to find an individual bogged down in the length of life, but devoid of breadth - Martin Luther King, Jr.
And the countdown continues. We’re less than two weeks away from honoring the 2014 Best Intergenerational Community Award winners: The Greater Phoenix Region, Arizona; City of Parkland, Florida; Reston, Virginia and Village of Shorewood, Wisconsin. These four winners are examples of communities across America that are developing innovative practices, programs and policies to solve challenges that benefit people of all ages. Last week, we highlighted a few past winners from 2012 and 2013. The week before that, we featured our inaugural winners from 2012. In the weeks leading up to our March 25 event, we’ll continue sharing our past winners’ stories. This is the final part of this series that shows why age-intentional strategies are important. Introducing…Itta Bena, Mississippi; Montgomery County, Maryland and Westchester County, New York (2013 winners). And based on the evidence of the past few years, achieving that vision should be a slam dunk. Intergenerational connections have always been an important element of Itta Bena’s culture. 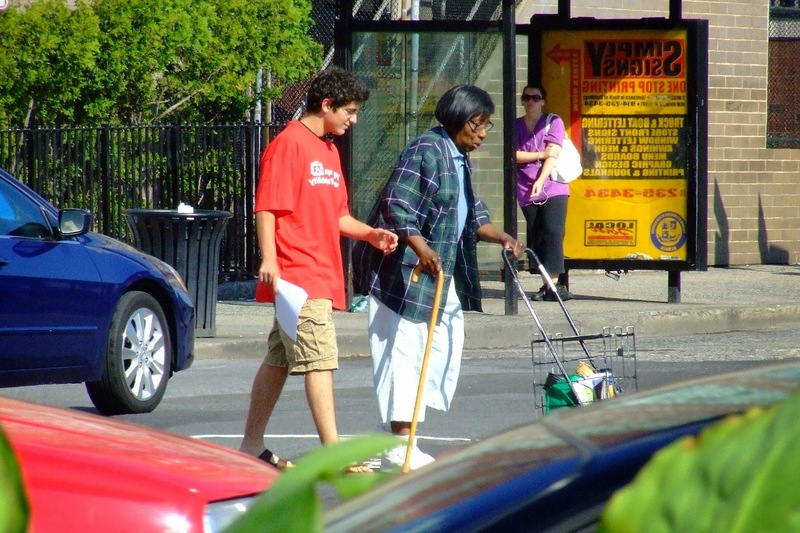 In 2009, the community ramped up its intergenerational efforts when it joined the National Network of Communities for All Ages, an initiative of The Intergenerational Center at Temple University. In so doing, the community formalized its commitment to achieving a better way of life for people of every age. Thinking intergenerationally may be old hat to Montgomery County, Maryland, but nothing about its intergenerational programs and initiatives are old or outdated. This is a community where new ideas and ways to integrate the generations are continually being sought and implemented. It’s been 30 years since the county executive formed the Intergenerational Committee to advocate and plan for a system in which older adults and younger generations could enhance each other’s lives. That committee led to the formation of the Montgomery County Intergenerational Resource Center, a partnership that included the Montgomery County Department of Health and Human Services, Montgomery County Public Schools, and Interages, a nonprofit. This was the first time in Montgomery County history that a nonprofit, the public schools and county government joined together to make a difference in the community. And what a difference such collaboration has made. Today, this highly diverse county of almost one million residents offers myriad ways for all generations to connect with each other. Take it from the horse’s mouth: Westchester County, New York is a good place to grow up and grow older … together. Whether you live in the county’s rural northern section or its big-city southern region, you’re sure to feel at home, no matter what your age. This community really knows the value of intergenerational living; they’ve been at it for quite a while now – more than 16 years. It also is a master at bringing groups together to continually find new ways to improve life for all. 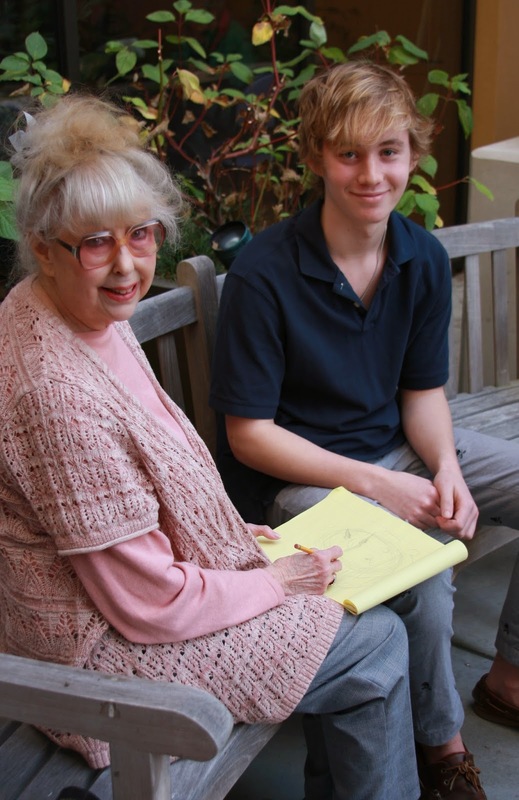 Westchester boasts more than 40 intergenerational programs – shared site, individual on-site, and four Communities for All Ages based on the model developed by The Intergenerational Center at Temple University. With its strong public/private network of motivated individuals, not-for-profits, United Way, a private foundation, and government funders, it’s no wonder that Westchester stands out as a model for how to enhance collaboration across sectors, build leadership of civic engagement of all ages, increase social cohesion among the generations, and address a broad range of critical concerns from a lifespan perspective. Read the full community profiles here. Interested in submitting a blog post to the Together Blog? We’re always looking for quality posts on intergenerational issues and would be happy to consider yours. Check out the guidelines below and contact Alan King if you have any questions. How Do Children, Youth and Older Adults Fare in the President's 2015 Budget? Last week President Obama released his budget for 2015. The president's budget does not represent the final funding amounts for programs and services in 2015. It is a blueprint. Congress must then act to pass annual appropriation bills and bills that authorize programs to determine whether programs will be funded and the amount at which they will be funded. · SENIOR CORPS AND NATIONAL SERVICES: Reduces funding for Senior Corps by at least $56 million. Significantly reorganizes Seniors Corps. The Foster Grandparent Program and Senior Companion Programs would be incorporated into the larger Americorps. Funding for Retired and Senior Volunteer Program (RSVP) would be reduced by two thirds and grants would be made under the Volunteer Generation Fund. · SOCIAL SECURITY: Drops the proposal in the 2014 budget to subject annual Social Security cost of living increases to the "chained CPI" which advocates have described as a benefit cut. Calls for $100 million investment to modernize Social Security Administration operations and improve services. This is a reversal of previous budget cuts that have led to increased wait times and local office closures. · SENIOR HOUSING: Increases Section 202 Housing for the Elderly by $56.5 million. This program is home to the LEGACY housing demonstrations that services grandparents raising grandchildren. The increase does not indicate increased support for LEGACY demonstrations but the it is significant because of low funding levels in recent years. · OLDER AMERICANS ACT: The majority of Older American Act Programs (Including the National Family Caregiver Support Program which service grandfamilies in many parts of the country) will be level-funded. Exceptions include a $54 million cut in the Senior Community Service Employment Program (SCSEP) and a progopsal to move the program fromthe U.S. Department of Labor to the Department of Health and Human Services. The U.S. Administration for Community Living requested $3 million for a White House Conference on Aging and additional some additional services. · KINSHIP GUARDIANSHIP ASSISTANCE: $99 million is estimated for Kinship Guardianship Assistance Programs. Because these payments are part of an entitlement under Title IV-E, the funding amount will grow as the eligible population grows. The number of children entering the program has been growing less quickly than what was initially estimated when the program was enacted under the Fostering Connections and Increasing Adoptions Act of 2008. · SOCIAL SERVICES BLOCK GRANT: $1.7 million and increase from the $1.577 in 2014. Funding for this program was subject to sequestration and reduced in 2014. · PROMISE NEIGHBORHOODS: The budget calls for $100 million for promise neighborhoods, up from $53 in 2014. We’re less than three weeks away from honoring the 2014 Best Intergenerational Community Award winners: The Greater Phoenix Region, Arizona; City of Parkland, Florida; Reston, Virginia and Village of Shorewood, Wisconsin. Last week, we highlighted a few of our inaugural winners from 2012. In the weeks leading up to our March 25 event, we’ll continue sharing stories from our past winners’ stories. This is the second in a three-part series that shows why age-intentional strategies are important. Introducing…San Diego County, California (2012 winner); Virginia Planning District 10 (2012 winner) and Dunedin, Florida (2013 winner). Today, all types of county services and programs have an intergenerational aspect. 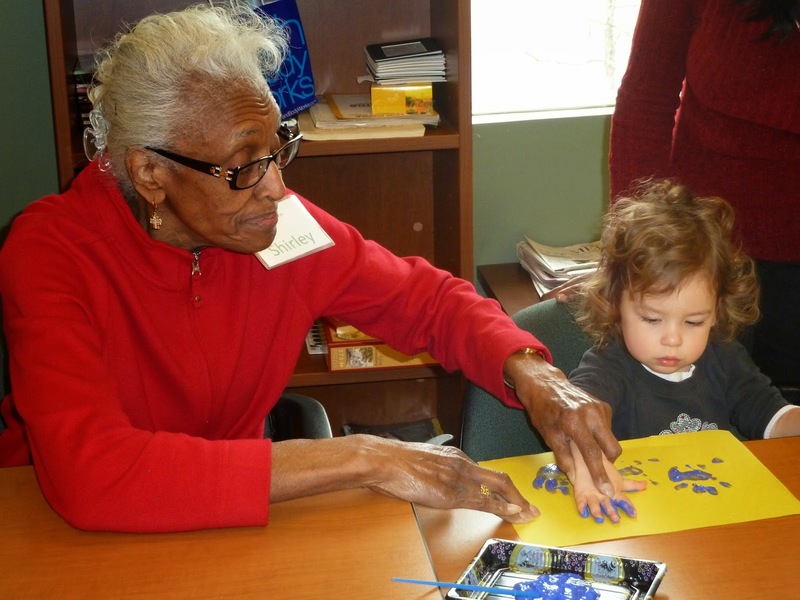 Libraries and Parks and Recreation offer intergenerational art, math, reading and jazz programs. Older adults take part in a Workforce Academy for Youth, mentoring foster youth for six months as they get ready to leave the foster system and join the work world. Young people have the opportunity to join the Legacy Corps Program where they serve caregivers and learn about the aging process. The county also works with providers that serve older adults and youth to sponsor Resident and Youth Leadership Academies. 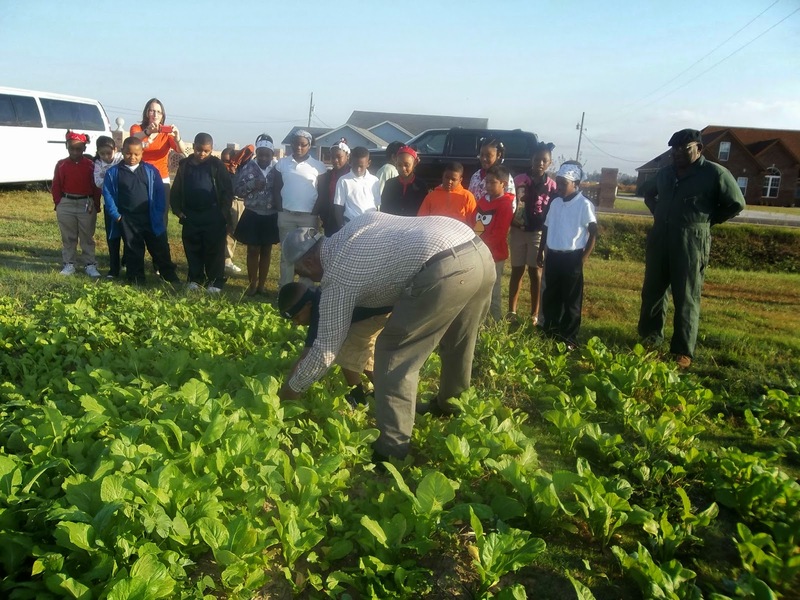 These academies train older adults and youth in leadership, and primarily focus on community planning principles and environmental prevention strategies. The list goes on. Covering the City of Charlottesville and sprawling counties of Albemarle, Fluvanna, Greene, Louisa and Nelson, Virginia’s Planning District 10 was until fairly recently as divided in its approach to serving multiple generations as in its geography. Today, all eight community centers have active intergenerational programs, and adult care centers interact on a daily basis with co-located child care centers. In addition, there are intergenerational song-writing/performance programs, tutoring opportunities, vocational education programs, nutrition initiatives, and high school student representation on JABA’s volunteer board as well as many other intergenerational activities.Community gardens yield locally grown food that is used to feed elderly residents at the local community and senior centers. Dunedin, home to over 35,000 residents, formalized its efforts to connect generations 1992. Today, intergenerational awareness in Dunedin is free-flowing and seamless. This mindset resonates from the city leaders through staff and into the community. Each year since 2006, the mayor has issued a formal proclamation to bring awareness and commitment to the community’s celebration of Intergenerational Week. During that week – the first full week in December – the city celebrates activities to cap off all the events and programs that brought generations together throughout the year. 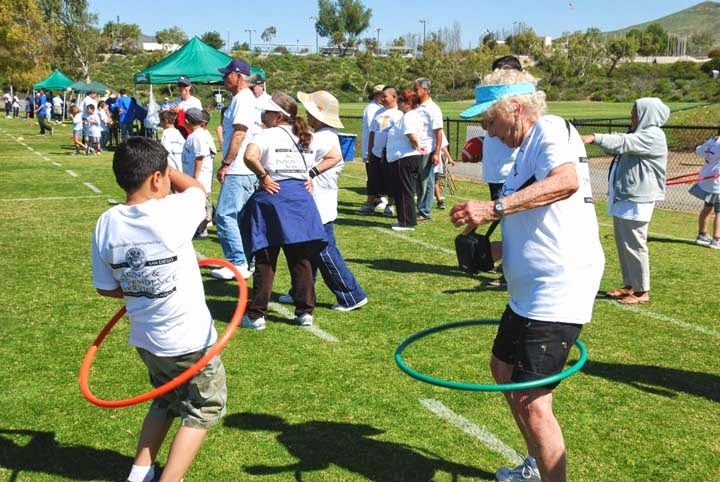 Yearly, there are 29 events in the city that bring together multiple generations, along with ongoing programs, ranging from teenagers visiting nursing homes, intergenerational activities at senior centers and holiday festivals. Read the full community profiles here. Stay tuned for next week, when we introduce Itta Bena, Mississippi; Montgomery County, Maryland and Westchester County, New York. 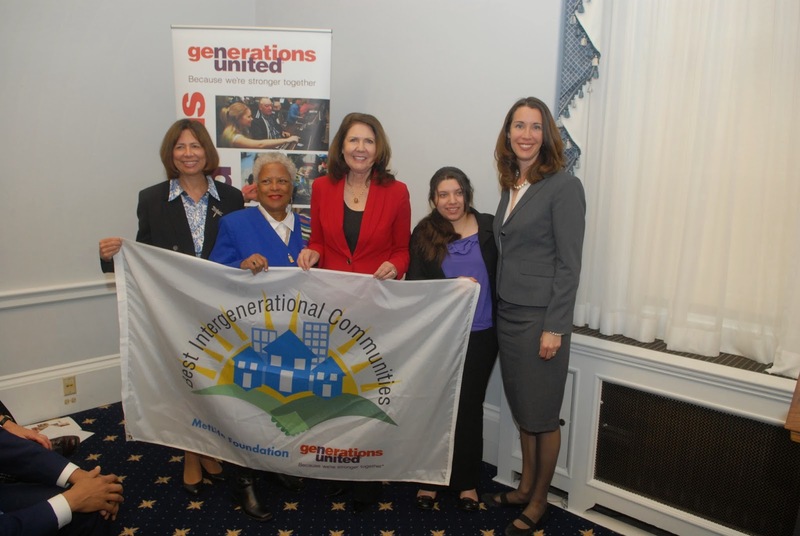 EDITOR’S NOTE: This is the final part of our series on the 2014 Best Intergenerational Communities award winners. Read parts 1, 2 and 3. Last, but not least, is the Village of Shorewood, Wisconsin. In 1999, Milwaukee County Department on Aging formed the Intergenerational Council to nurture the development of intergenerational programming. Those efforts build off of the age-optimized activities going back to when Shorewood was incorporated as a Village in 1900. 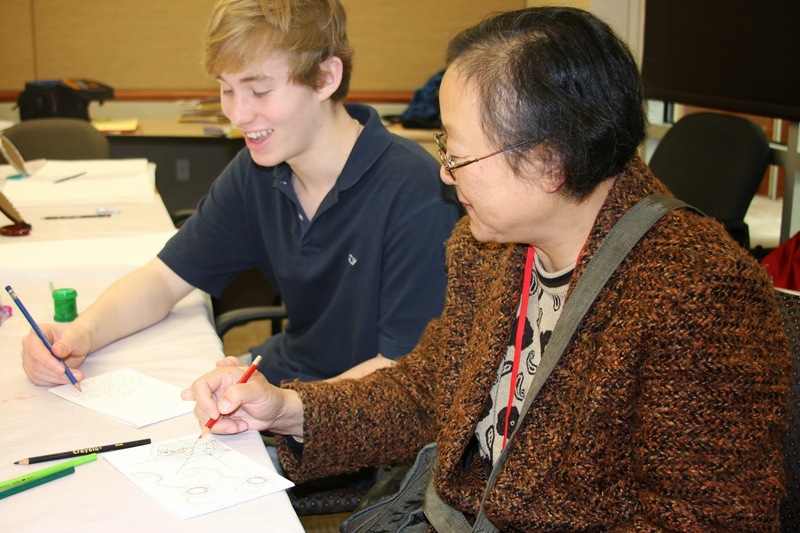 Today, the Shorewood Connects Intergenerational Work Group is the "intergenerational glue" that unites Village Government, the School District, the Business Improvement District, youth and seniors. Both Martin Lexmond, superintendent of Shorewood School District, and Shorewood's President Guy Johnson noted that the community's size can be deceptive. 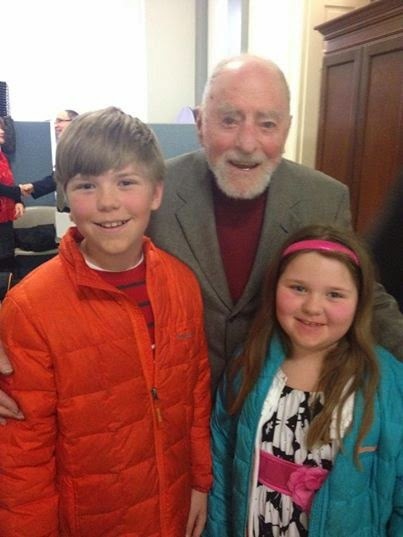 "Shorewood may be small," they explained, "but its wide variety of activities aimed at fostering intergenerational community connections are large, making it a wonderful place to grow up, raise a family, and retire."